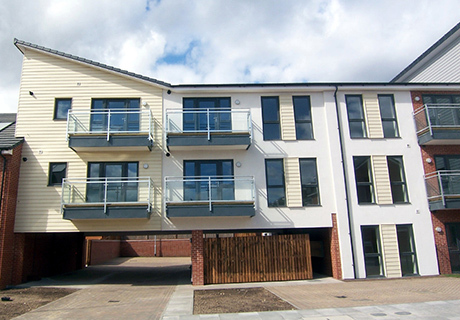 This scheme of 42 affordable homes in Ipswich for The Guinness Partnership was developed as a turnkey by our client, the developer Barkley Projects. It is the latest phase in a site development project for an 18 acre brownfield site in Ipswich which we have advised on over the last 11 years. 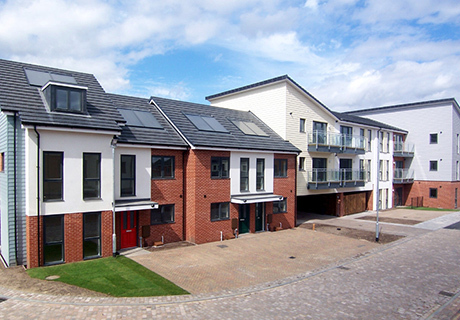 The homes are a mixture of 1, 2, 3, 4 and 5 bed houses and flats for rent, built to level 3 of the Code for Sustainable Homes and Secure by Design certificated. 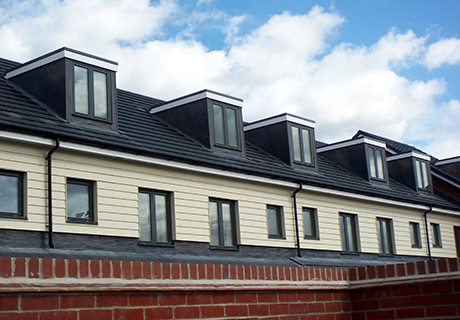 Solar panels provide hot water from a renewable source and many of the homes are built to Lifetime Homes standards. 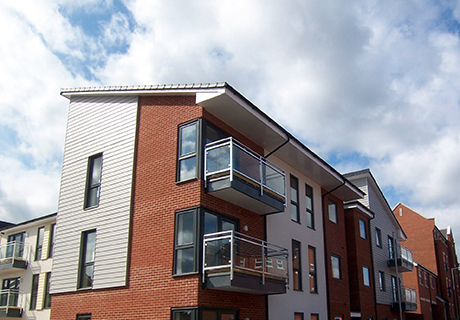 As the recession of 2008-9 depressed the housing market, we introduced our developer client to the Guinness Trust who was looking for sites for affordable housing in Ipswich. 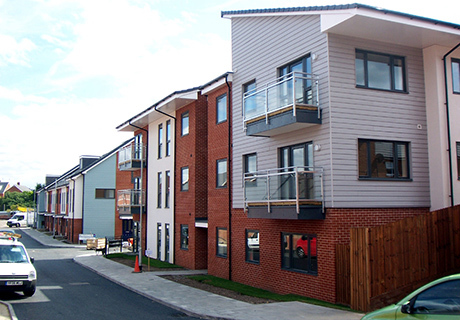 We were able to broker a deal which enabled the Trust to secure 37 affordable homes close to the town centre, and the developer to build out the site, retaining an interest in some open market units. We first were involved with this site when it was the Ipswich Driving Test Centre, and we were negotiating for an outline planning consent on the neighbouring 18 acre former allotment site, which we achieved in 2000 prior to its sale to a National Housebuilder. 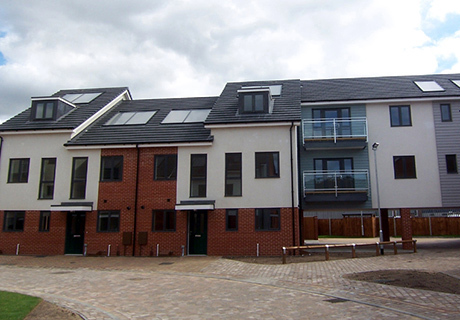 The DSA then commissioned Barefoot & Gilles to relocate their test centre to the outskirts of Ipswich and we obtained planning permission for an open market scheme of housing on the vacated former premises. The site adjoins Woodbridge Road, a busy road into the town centre, and was unlocked by the successful resolution of access through the larger allotment site next door, though it retains a pedestrian access onto Woodbridge Road. The neighbouring BT Depot will also be developed thanks to the same access.